Good news! 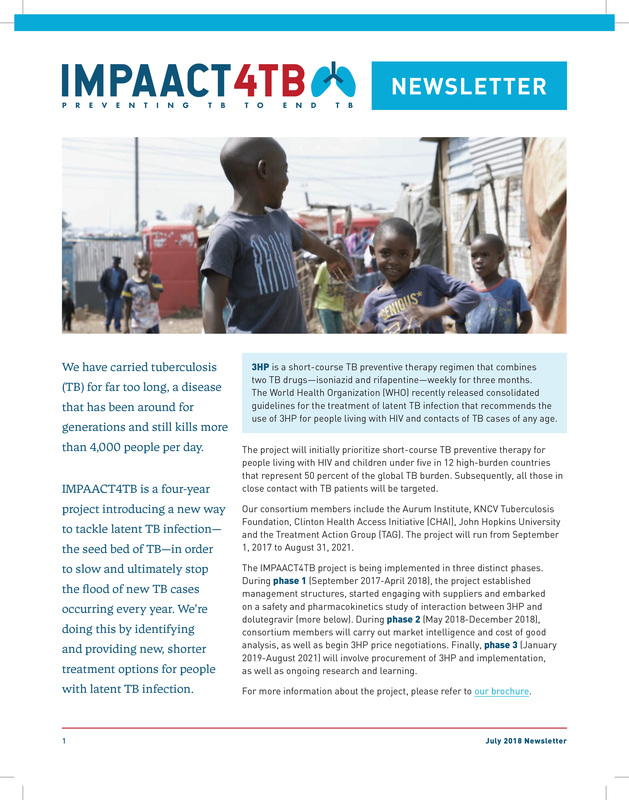 The first IMPAACT4TB newsletter is out! IMPAACT4TB is a four-year project introducing a new way to tackle latent TB infection — the seed bed of TB—in order to slow and ultimately stop the flood of new TB cases occurring every year.